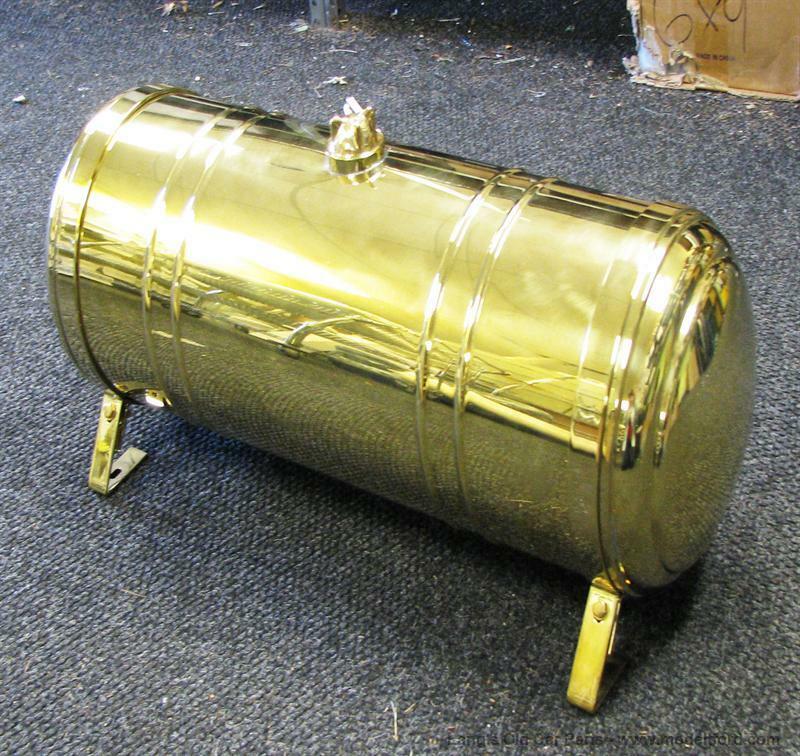 All new reproduction, polished brass gas tank with brass mounting straps. 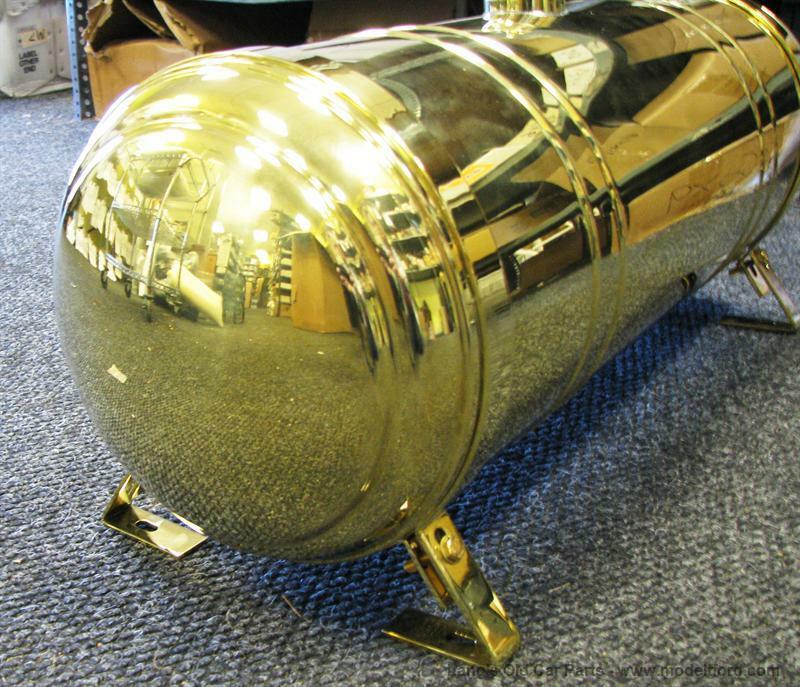 Polished brass low fin gas cap. 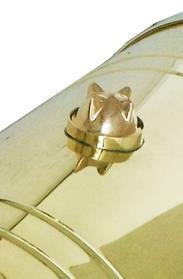 Recessed filler neck fits Model T size hi-fin, low fin or accessory wing caps. NOTE: This tank is made to order. Please call our Customer Service Line for the current lead time.